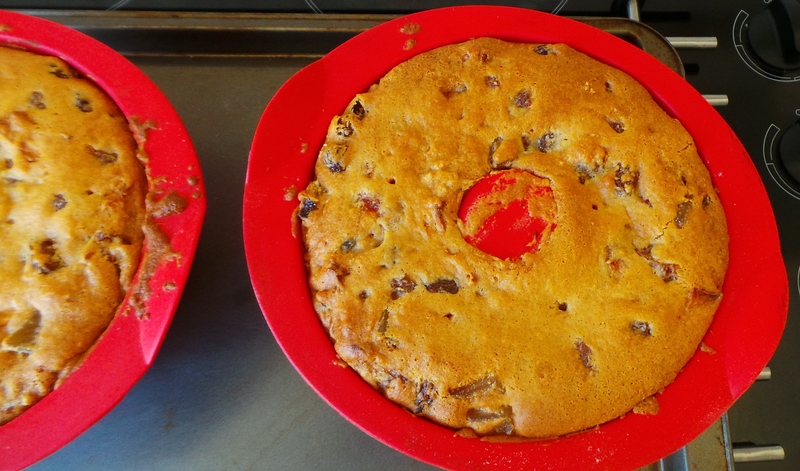 Today in the Budget Bounty kitchen, we revisited the fruit cake recipe in the last post. 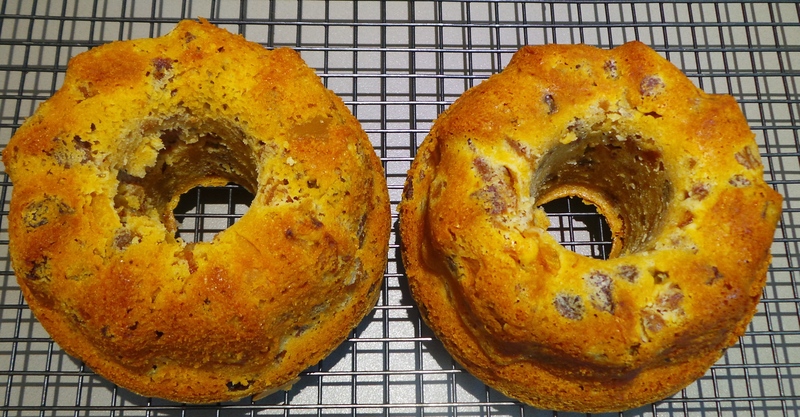 I lovingly spooned the batter into two mini bundt pans that I have. Thinking that we could have one on the way to Christmas and pop one into the freezer for some time in the New Year. Given the smaller amount of batter in each ‘tin’, I worked on reducing the time accordingly. I decided to bake them at the same temperature for 40 minutes, before taking them out to test and rotate. And this seems to have been just right! They’ve worked well with that timing. For those of you reading who have a much better grasp of icing/frosting/decorating than I do (and a bundt tin or two), imagine something like this decorated to resemble a Christmas Wreath! And don’t they look precious? This would work just as well with other pan shapes, if you happen to have smaller loaf or round tins in your cupboards.